Quality articles from Helsingin Sanomat a welcome addition to the online and print content of Helsinki Times. Helsinki Times has signed a cooperation agreement with Helsingin Sanomat on the publication of selected Helsingin Sanomat articles, translated from Finnish into English, on the Helsinki Times website and in the Helsinki Times print newspaper, published once a week. This cooperation, which includes the use of pictures and graphics, will start as of 2 December 2013. 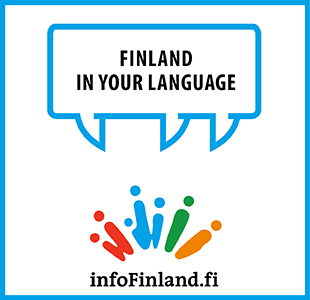 Through the agreement, the Helsinki Times website will become part of HS.fi, and titles of English articles will be placed on the Helsingin Sanomat web page. “This is a great opportunity for us to reach a totally new international reader base. The cancellation of the English version of HS.fi a couple of years ago disappointed readers who enjoyed our high-quality articles in English. This cooperation with Helsinki Times addresses their needs,” says Petteri Putkiranta, president of Helsingin Sanomat. “Helsingin Sanomat reaches a total of 1.9 million readers through different channels. Through the news in English, the reach of our content will expand to cover a larger market area and a growing target group,” says Putkiranta. Established in 2007, Helsinki Times is a newspaper in English, available for subscription or purchase at newsstands. The print run is about 15,000 copies, and the website of the Helsinki Times has 8,400 unique visitors per week. Alexis Kouros, the founder and editor-in-chief of Helsinki Times, is happy with the agreement. “Through the quality journalism of Helsingin Sanomat, we can serve our international reader base, which is interested in what is going on in Finland, even better,” says Kouros. In addition to Helsingin Sanomat articles, Helsinki Times will also continue producing content of its own. As of 2 December 2013, the HelsinkiTimes.fi site will be accessible from the Helsingin Sanomat website at hs.fi/en and via the HS English link. Helsingin Sanomat reaches 1.9 million Finns through different channels every week. In addition to the daily paper, Helsingin Sanomat includes HS.fi, the Nyt supplement, the Kuukausiliite monthly supplement, Nelonen News, and Radio Helsinki. The new format of Helsingin Sanomat provides unique journalism in print and on the computer, smartphones and tablets. Helsingin Sanomat is part of Sanoma. Sanoma is a European forerunner in consumer media and learning. Since 2007, the daily online and weekly print editions of Helsinki Times have served expats and visitors in Finland. The print edition of Helsinki Times is available for subscription and is also distributed on Finnair flights, Allegro trains and at more than 50 hotels. 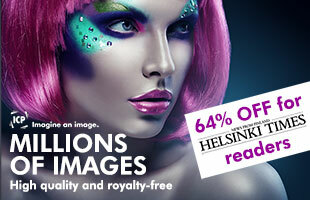 Helsinki Times is also available for purchase at 140 kiosks all across Finland. In addition, there is an iPad edition of the paper.